Continue reading for more on final standings of the NA & EU LCS Playoffs, LCK/LPL/LMS Playoff brackets and updates, various team/player news, VODs, and more! 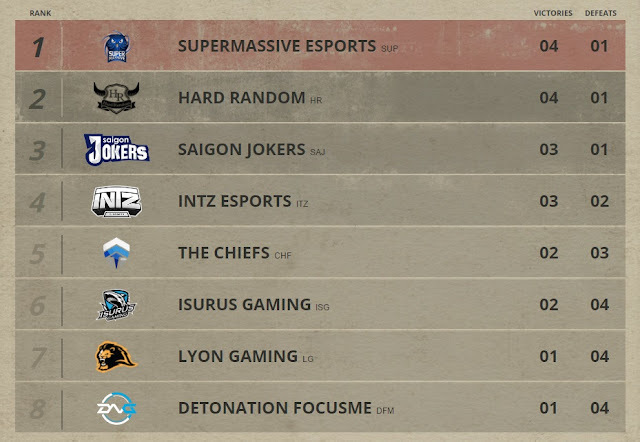 The brackets and standings below are up to date as of Sunday, April 17th and, as always, VODs can be found here. 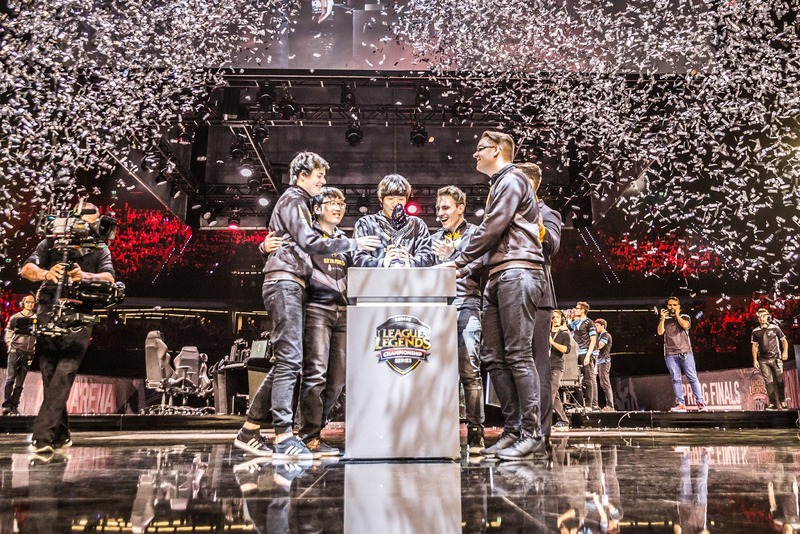 The Finals of the 2016 LCS Spring Split Playoffs wrapped up over the weekend! Congratulations to G2 Esports and Counter Logic Gaming on finishing in first place for their respective regions, also qualifying them for the Mid-Season Invitational! G2 Esports defeated Origen 3-1 taking first place in the Spring Split with Origen takes second place. 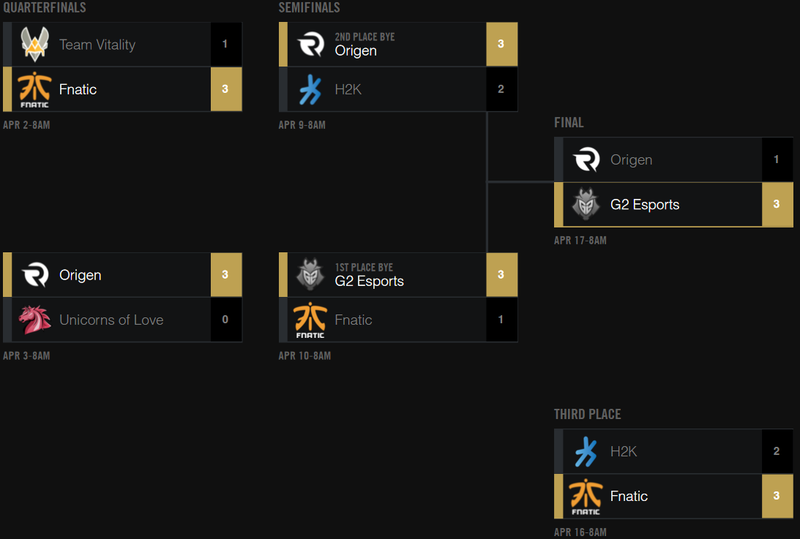 Fnatic defeated H2K 3-2 and finish third place. CLG defeated TSM 3-2 taking first place in the Spring Split with TSM takes second place. 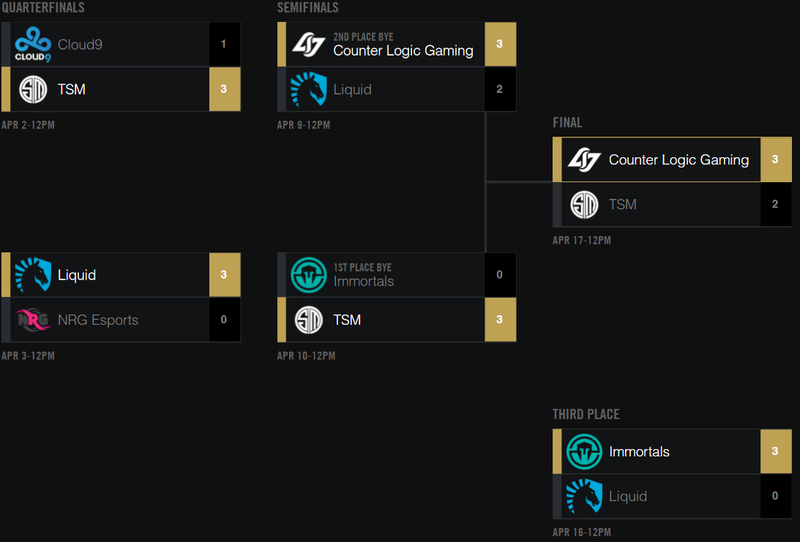 Immortals defeated Liquid 3-0 and finish third place. The playoffs for the LCK are currently underway, the Final round will be held on April 23rd between SKTelecom T1 and ROX Tigers! 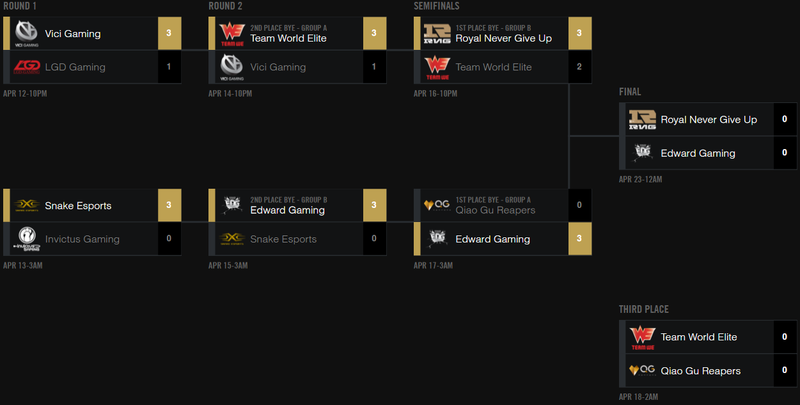 The playoffs for the LPL are also currently underway, the Final round will be held on April 23rd between Royal Never Give Up and Edward Gaming! The Third Place match will be held on April 18th. 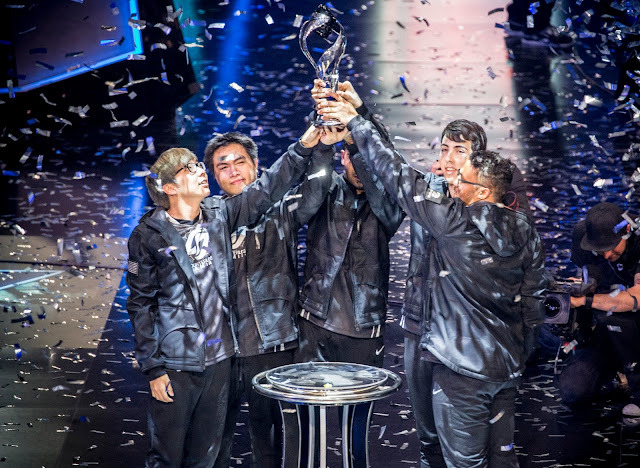 The playoffs over in the LMS have just concluded this last weekend, congratulations to Flash Wolves for their first place finish over ahq e-Sports Club. 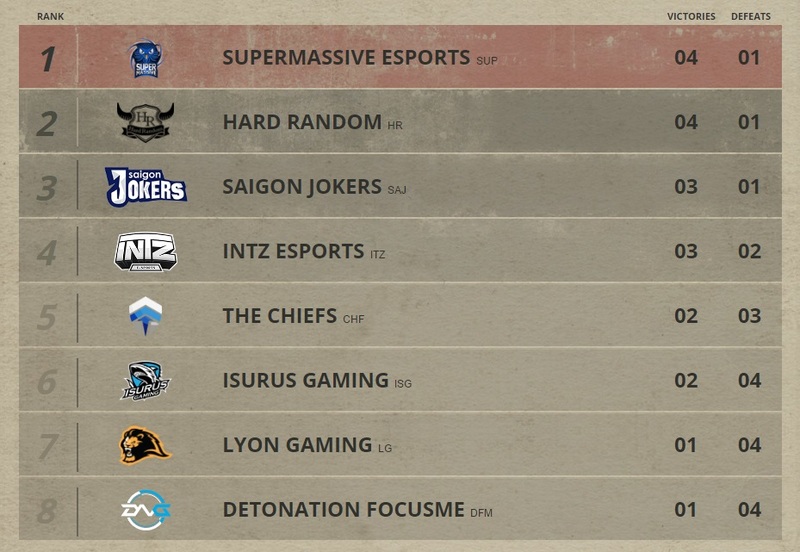 By finishing first, Flash Wolves have been qualified for MSI! The 2016 International Wild Card Invitational continues through the 24th with top teams from CBLOL, LCL, LJL, LAN, LAS, OPL, GPL, and TLC competing for prizes and a spot at MSI 2016! For more information, check out the IWCI 2016 site! Riot has released a Player Spotlight featuring Febiven, Fnatic's starting Mid!